To say 1969 was an eventful year would be an understatement. From the legendary Woodstock concert and the Summer of Love to humans walking on the Moon for the first time, 1969 was truly a year to remember. It was also the year that Albert Scaglione first founded Park West Gallery. But that wasn’t the only major development in the art world that year. Let’s look back at some of the major art stories of 1969—which are all joining Park West in celebrating their 50th anniversaries in 2019. Dutch artist M. C. Escher wowed the world with his mesmerizing woodcuts, lithographs, and mezzotints. His intricate works boggled the mind with paradoxical structures and mathematically-inspired patterns. 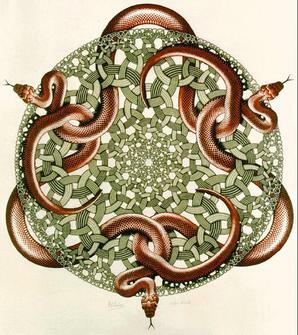 Now considered one of the world’s most famous graphic artists, Escher completed his final work, “Snakes,” in 1969. The complex woodcut depicts copper snakes weaving through interlocking green lines. Escher died in 1972 at the age of 73. Park West Gallery’s beginnings are actually linked to Escher. 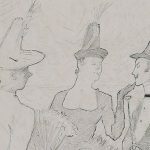 Early in his art dealing career, Park West Gallery Founder and CEO Albert Scaglione helped expand interest for Escher’s art in the United States by working with Escher’s prime dealer to increase the visibility of the artist’s graphic works. 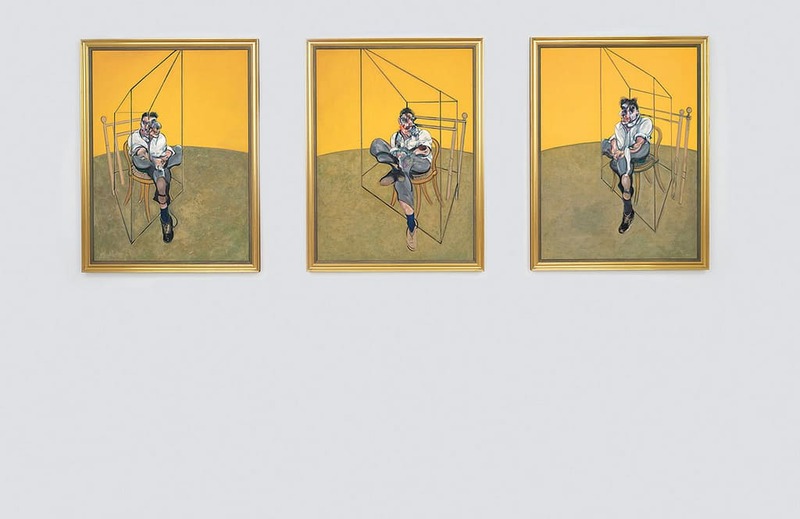 The renowned figurative painter Francis Bacon had a career that lasted more than six decades, but it was a set of three paintings (a triptych) he painted in 1969 that would eventually smash art world records. The triptych made history in November 2013 when it sold for $142.4 million, making it the highest price paid for a work of art at auction when not factoring in inflation. This was also the highest-paid price for a work by a British or Irish artist at the time. Bacon’s record was broken in 2015 when Pablo Picasso’s “Les Femmes d’Alger (Version O)” sold at auction for $179.4 million. In 1969, famed Spanish artist Joan Miró raised more than a few eyebrows when he destroyed a mural he just created in front of the public. That year, Barcelona’s Ministry of Information and Tourism had organized the country’s first official exhibition of Miró’s work. The artist, 76 at the time, chose not to attend the opening. As an anti-government protest, a Spanish architect association commissioned a retrospective of Miró’s work titled “Miró otro.” Unlike the official exhibition, Miró was happy to participate in this one. Miró instructed the show’s four curators to paint on the windows of the association’s headquarters. The curators used red, blue, yellow, and green paint to cover 750 square feet of windows. 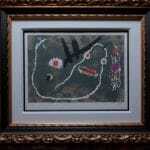 Once they finished, Miró applied black paint to the painted windows (seen in the beginning of this video). It’s said that Pere Portabella, a filmmaker who recorded the mural’s creation, suggested that Miró destroy the mural. It turns out the artist was more than willing to do so. 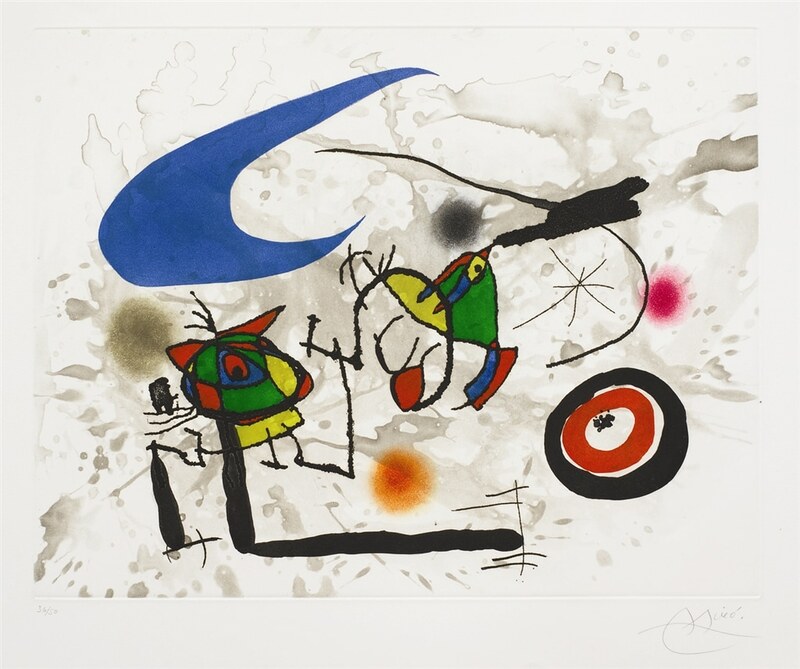 On June 30, the last day of the exhibition, Miró began scrubbing the windows clean with a spatula, broom, and solvent. Cleaning staff and art critics alike soon joined Miró in wiping away the beautiful mural. Surrealist Salvador Dalí made a name for himself not only with his groundbreaking art and eccentric personality, but also as a prolific illustrator of books. 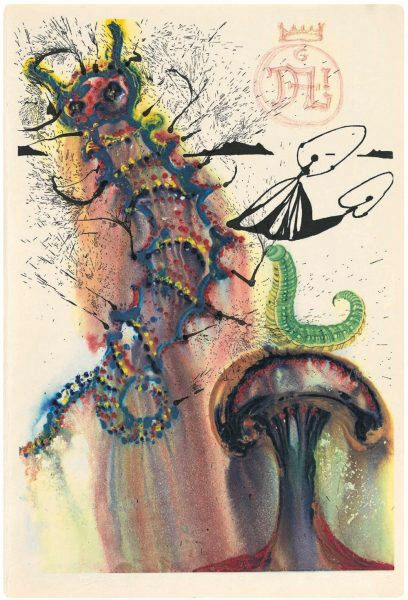 In 1969, Maecenas Press-Random House hired Dalí to illustrate the classic children’s tale “Alice’s Adventures in Wonderland.” He created 12 vivid paintings and four color etchings depicting the story’s weird and absurd scenes. The book instantly became a favorite among literary fans and art lovers alike. In 2015, Princeton University Press renewed interest in the illustrations by reissuing an anniversary edition featuring Dalí’s art. One of the most notorious art thefts in history occurred in October 1969 when thieves made off with a 17th-century painting by renowned Italian painter Caravaggio. 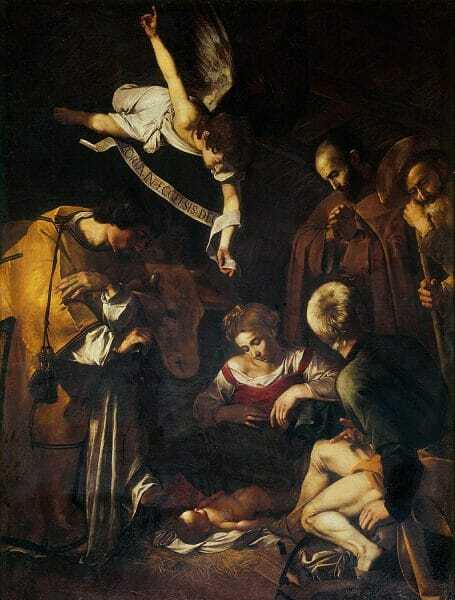 “Nativity with St. Francis and St. Lawrence” (also known as The Adoration), (1600), Caravaggio. Public domain. Depicting the newborn Jesus Christ in a bed of straw, “Nativity with St. Francis and St. Lawrence” was on display at a Baroque oratory in Palermo, Sicily. Reports indicate at least two thieves broke into the church and removed the large painting from its frame. The painting, valued at $20 million, is rumored to have ended up in the hands of the Sicilian mafia, and its whereabouts have remained unknown since. The FBI regards it as one of its top 10 art crimes of all time. However, there is some good news. In February 2018, a mafia member turned informant provided authorities with the identity of a Swiss art dealer who allegedly purchased the painting. Today, Italy’s anti-mafia commission believes that the painting is intact and may currently be in Switzerland. The investigation is still ongoing. Park West Gallery is celebrating its 50th anniversary by making the art collecting experience better than ever. Starting in 2019, anyone who uses our free Cruise Pre-Registration Portal will receive a $50 bid credit for their next Park West cruise. But we didn’t stop there. We want our clients to collect with confidence, so we’ve introduced our new 50/50/50 Satisfaction Guarantee. Collectors now have the option to return their artwork within 50 days for a full refund—with no restocking or other fees of any kind—or 50 months to exchange it. It’s our way of saying “thank you” for 50 amazing years.